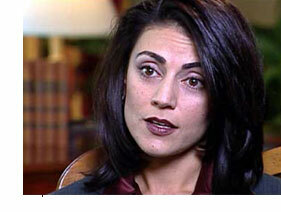 Sibel Edmonds is the most gagged person in US history. The government has repeatedly invoked the State Secrets Privilege in her case - not for reasons of 'national security' but to hide ongoing criminal activity. This documentary reveals how a foreign spy ring with links to Al-Qaeda has been discovered working within the FBI. Sibel Edmonds began work at the FBI translating wire taps in an investigation into a foreign spy ring operating in the US. She became suspicious of her colleagues after discovering some mistranslations and was then invited to join the spy ring which had evidently infiltrated the FBI itself. She went straight to her bosses and rather than being hailed as a hero she was promptly sacked. After going public on 60 Minutes she has been officially gagged.